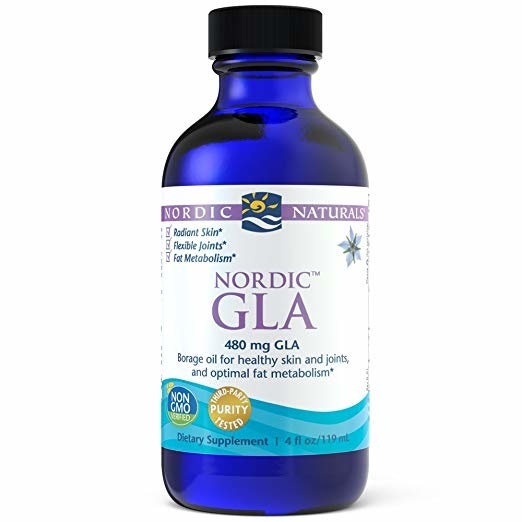 Review Nordic Naturals GLA, 4oz. 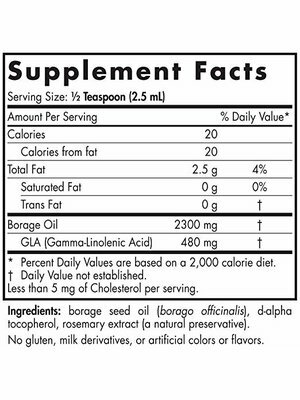 Home Nordic Naturals GLA, 4oz. VEGETARIAN OMEGA-6 BORAGE OIL - Gamma-Linolenic Acid (GLA), an essential fatty acid, comes from cold-pressed borage seed that produces 100% vegetarian borage oil. 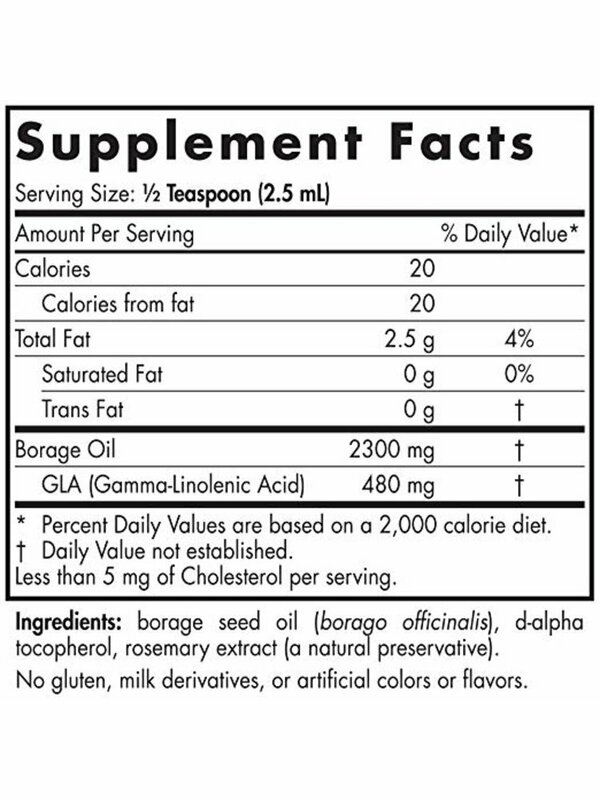 Nordic Naturals uses only non-GMO borage seeds. PERFECT ADDITION TO YOUR SUPPLEMENT ROUTINE - Each serving of Nordic GLA contains 480 mg of gamma-linolenic acid. Many people are GLA-deficient and don't know it, and both men and women can reap the benefits of adding GLA to their diet. 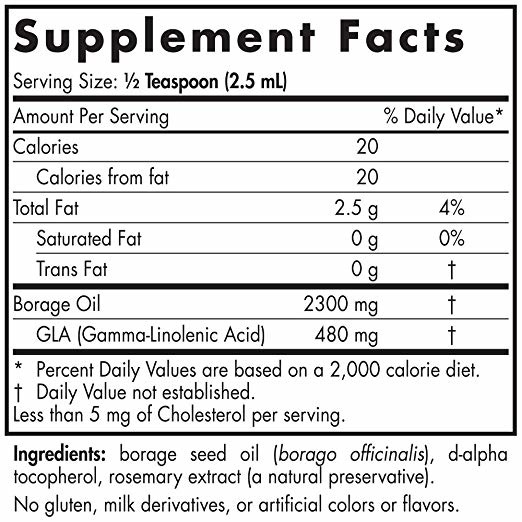 Effective on its own or in combination with any Nordic Naturals omega-3 product. 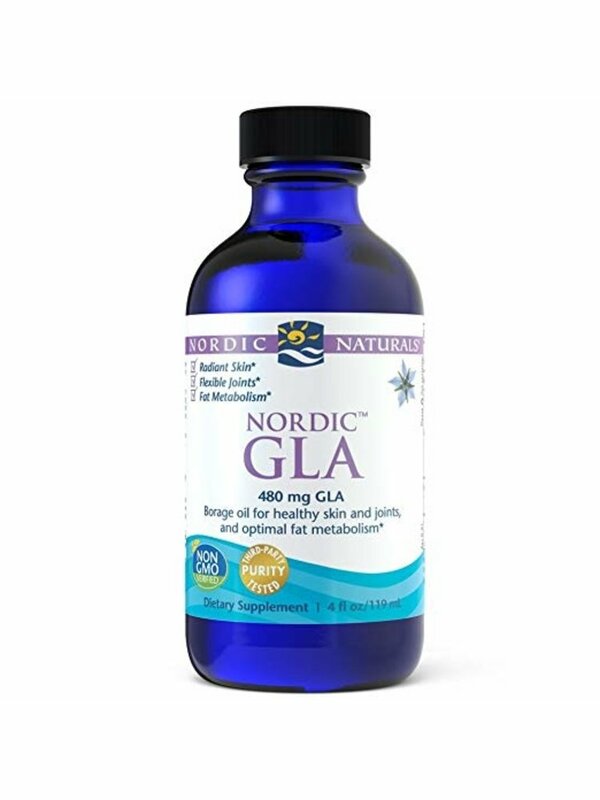 NO ARTIFICIAL INGREDIENTS OR PRESERVATIVES - Nordic Naturals places good health first. As a result, our products have no artificial coloring or flavoring. They are non-GMO verified, and are gluten- and dairy-free. Our ingredients are sustainably sourced and natural to create supplements with all the things you need and without any fillers.